Save Up To 60% OFF Spider-man Collection Sale (Costumes, Clothes and Toys)! You are here: Home / Great Deals / Save Up To 60% OFF Spider-man Collection Sale (Costumes, Clothes and Toys)! 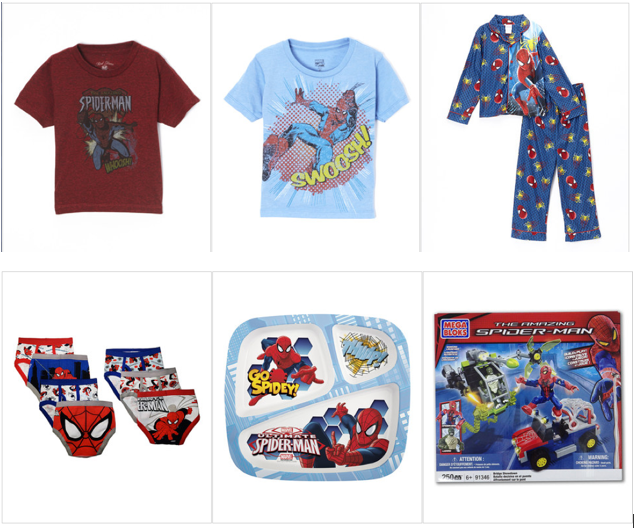 Do you have a little one who loves Spider-man? Then I’ve got a sale for you! Right now, you can Save Up To 60% OFF Spider-man Collection Sale (Costumes, Clothes and Toys)! I spotted items as low as $4.99! I even saw a Spider-man Costume for just $13.99! Shipping starts at $5.95, however, once you place an order in one sale, you’ll get FREE shipping on all other orders placed the same day through midnight!